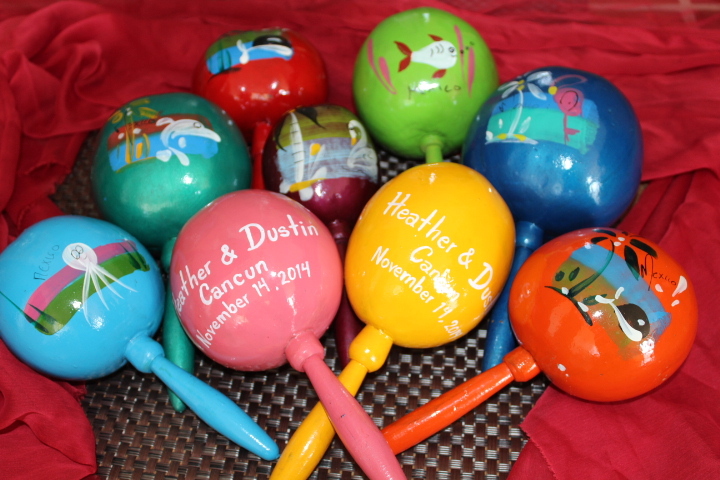 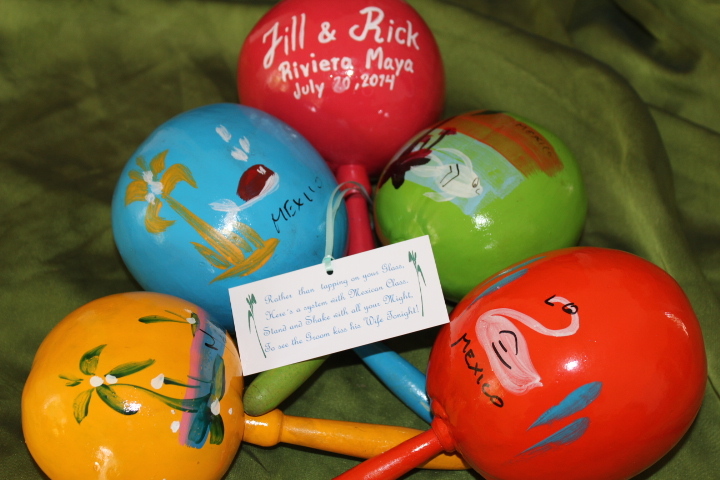 Jill & Rick Riviera Maya Wedding maracas, Love this colorful and Authentic Designs. 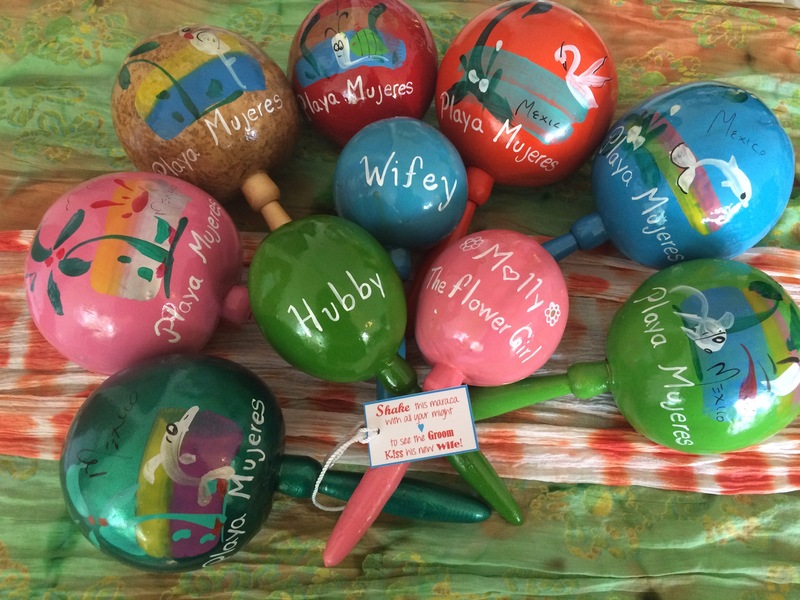 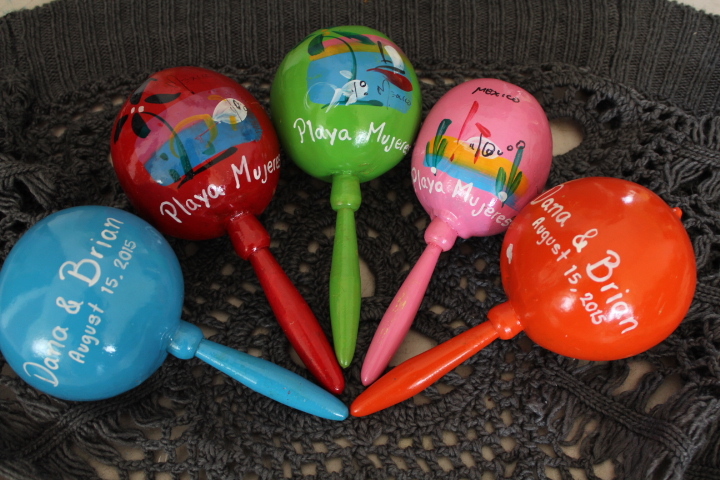 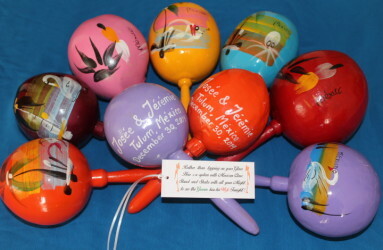 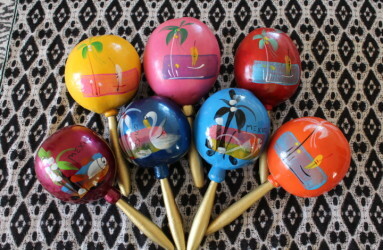 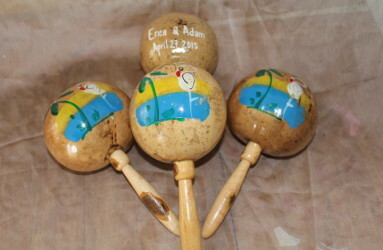 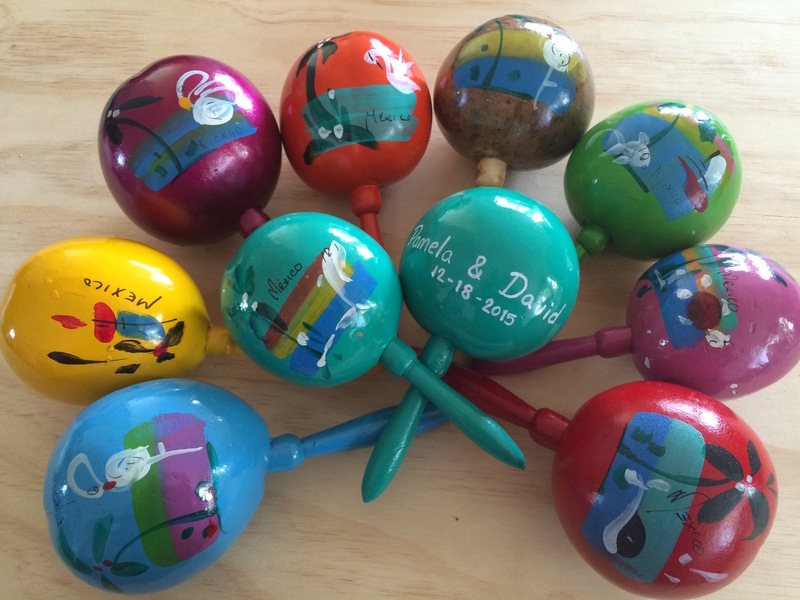 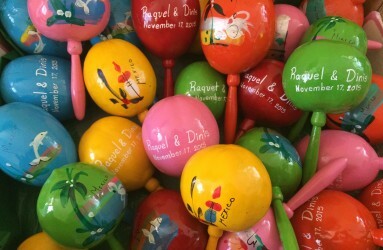 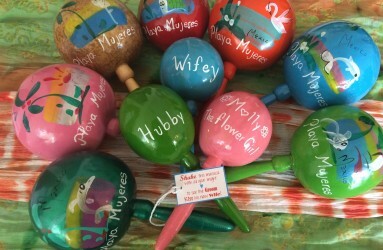 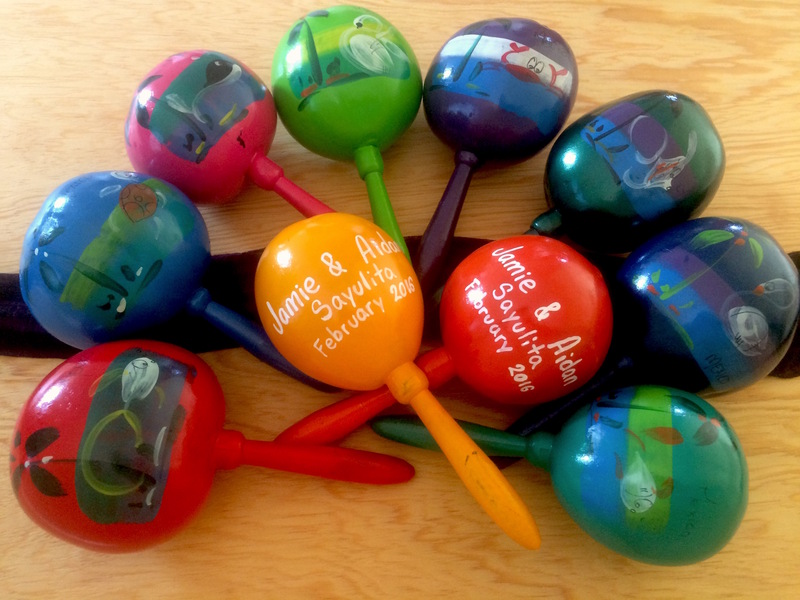 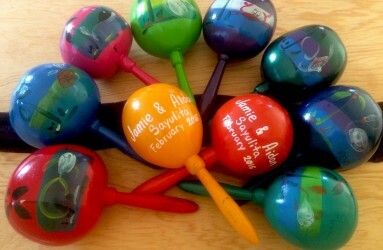 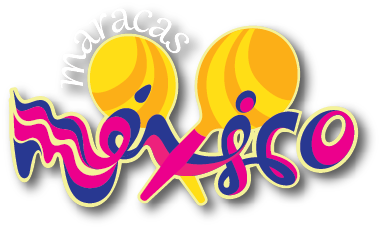 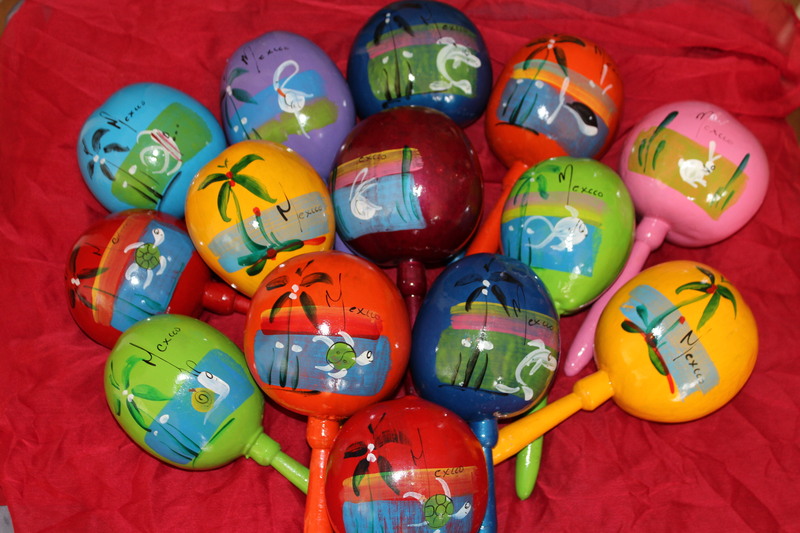 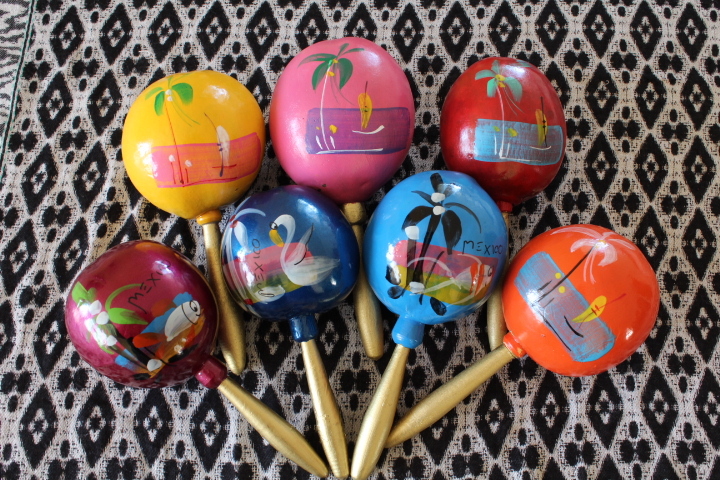 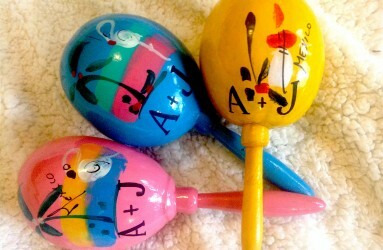 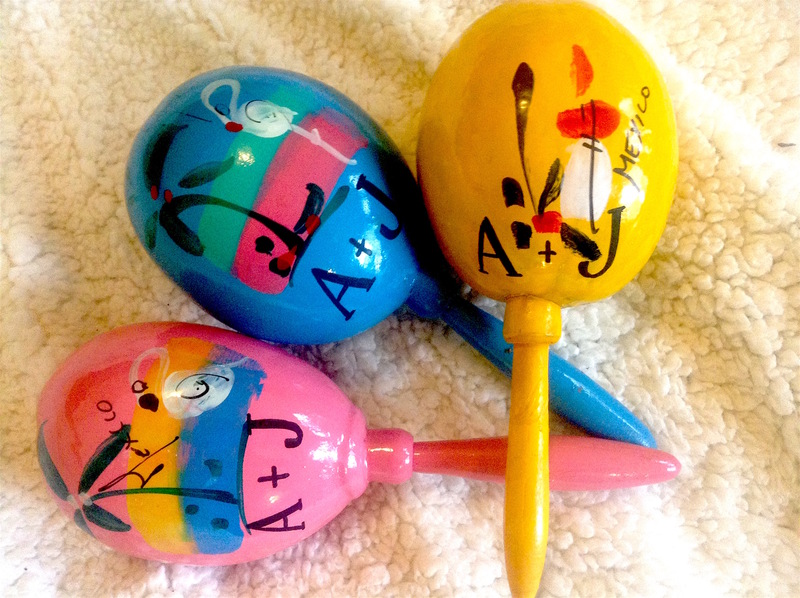 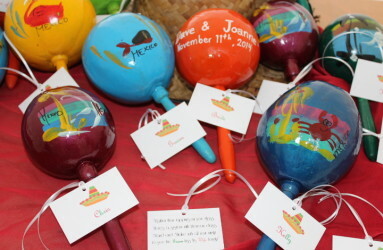 Beautiful Original Maracas for your Wedding, Colorful and Authentic Mexican touch! 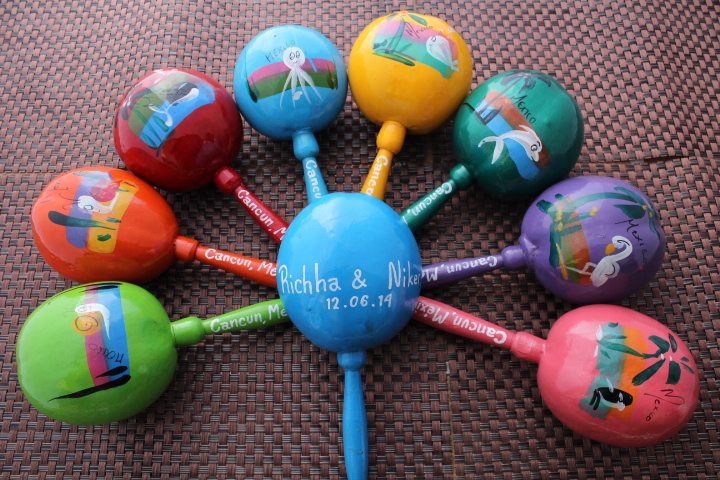 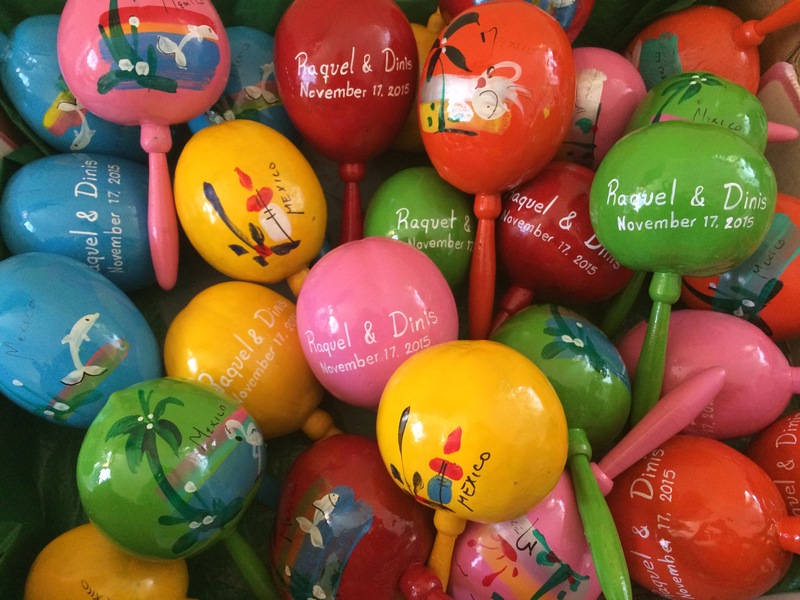 Richha & Niket Original Multicolor Maracas Designs for their Cancun Wedding. 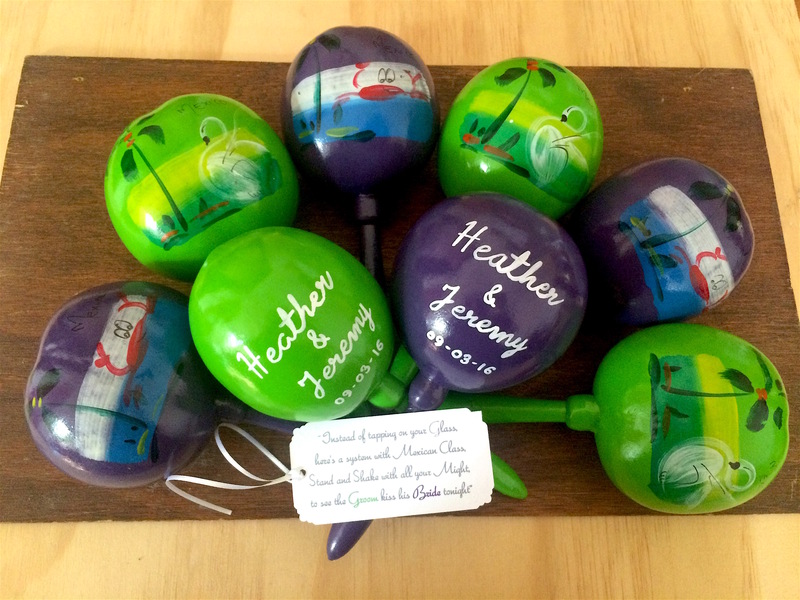 Great Wedding Favor Idea! 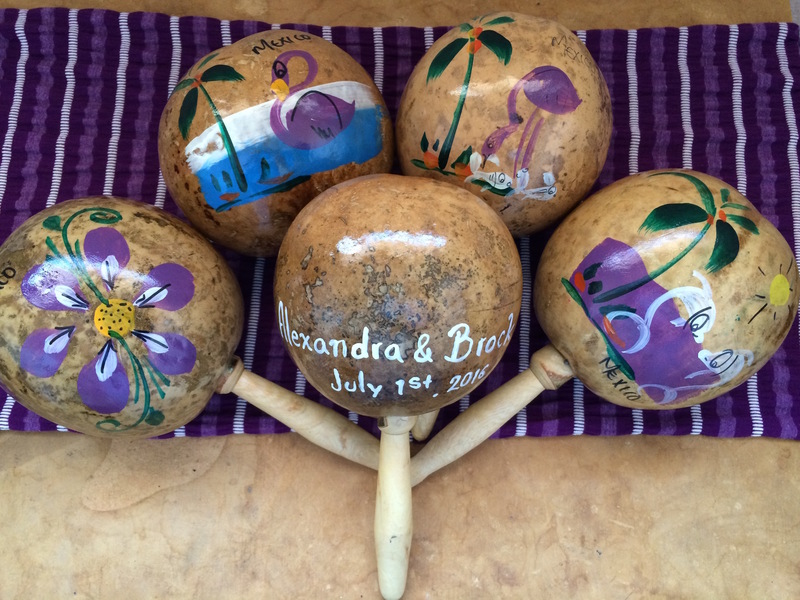 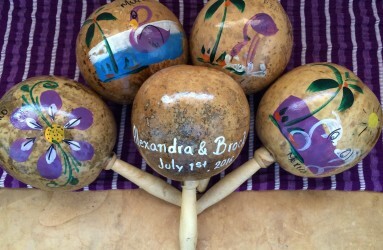 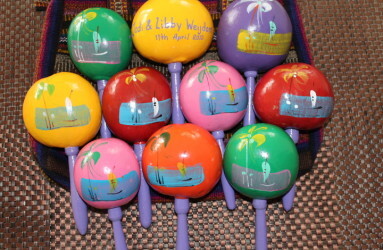 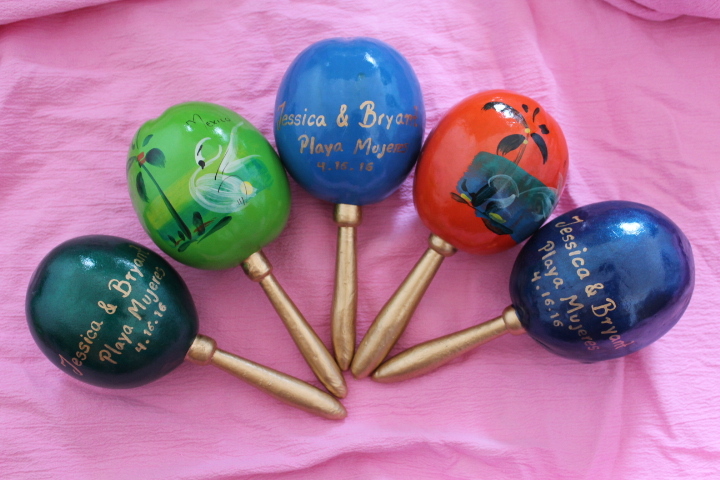 Jodi & Libby Original Maracas Design- Handle painted in their color selection "Purple" for their Moon Palace Wedding in Cancun! 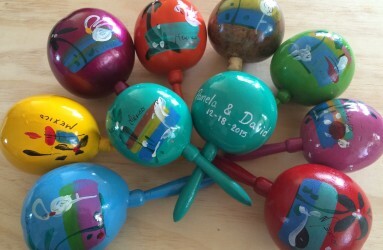 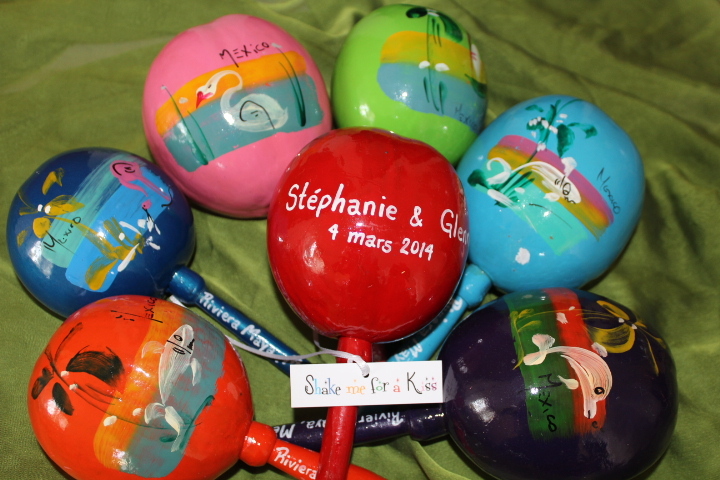 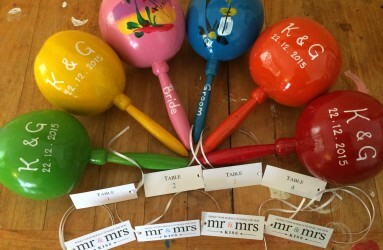 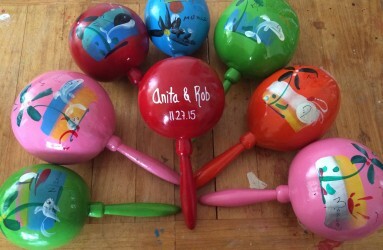 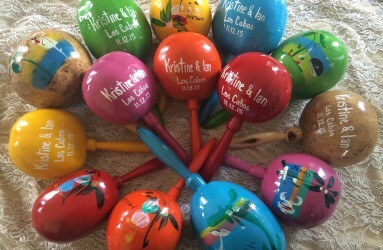 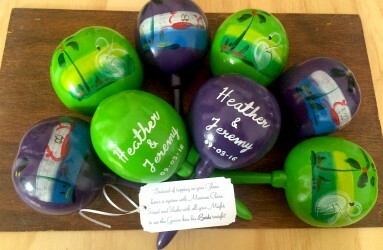 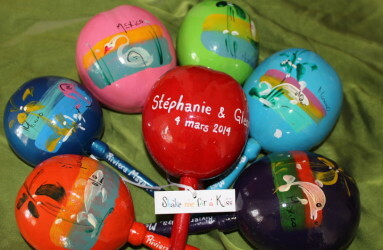 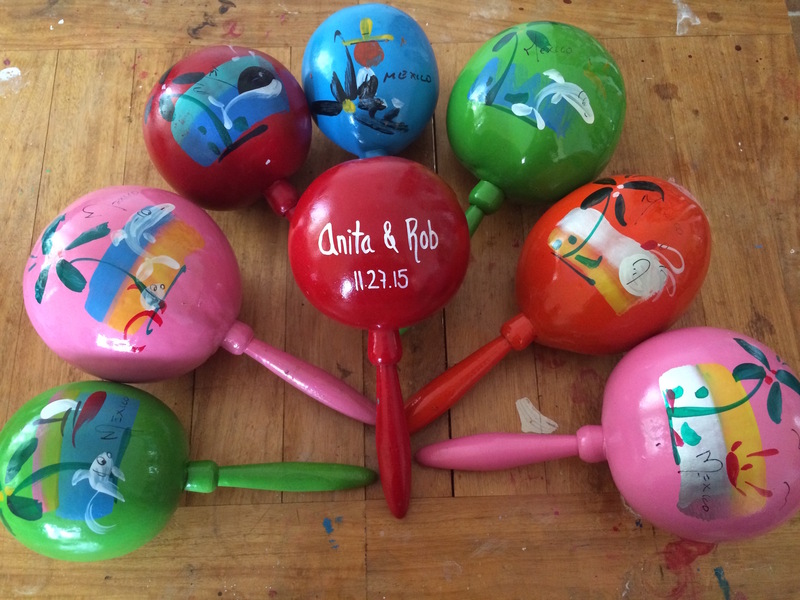 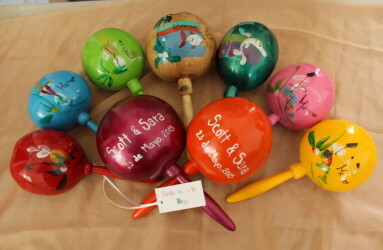 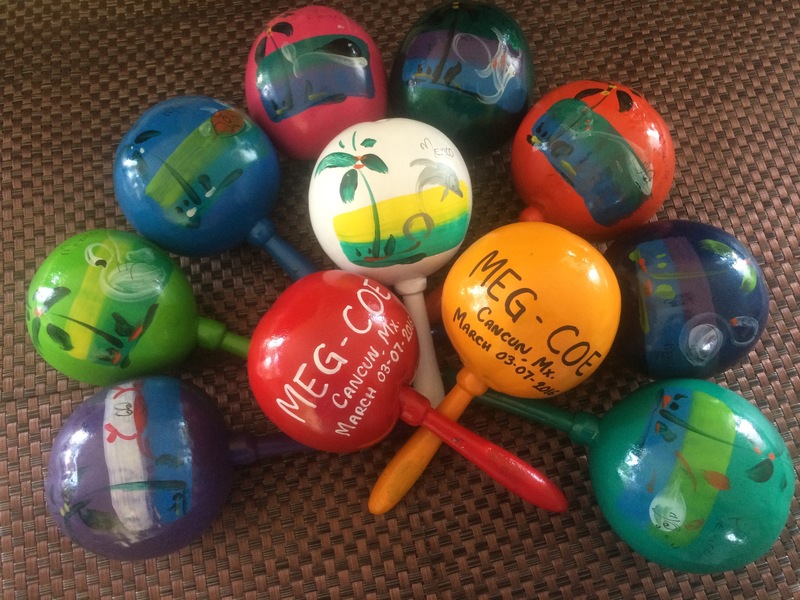 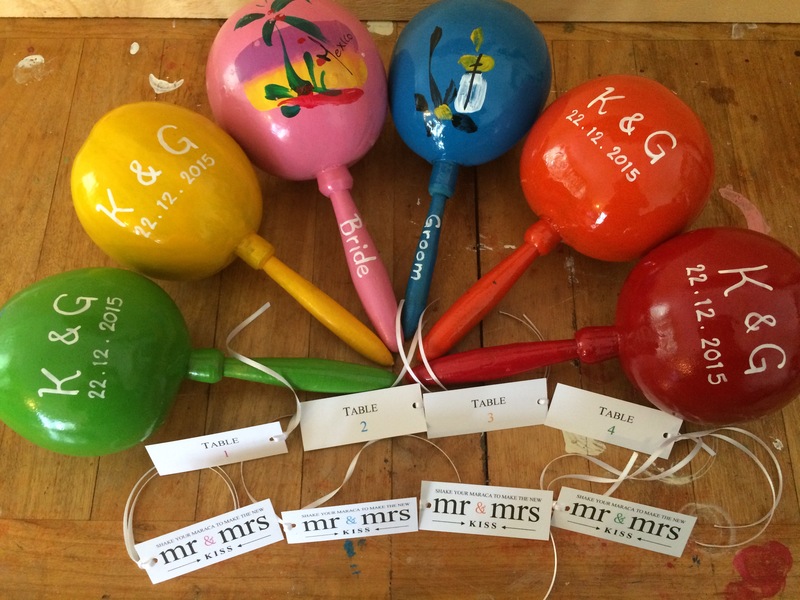 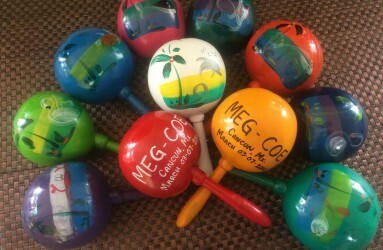 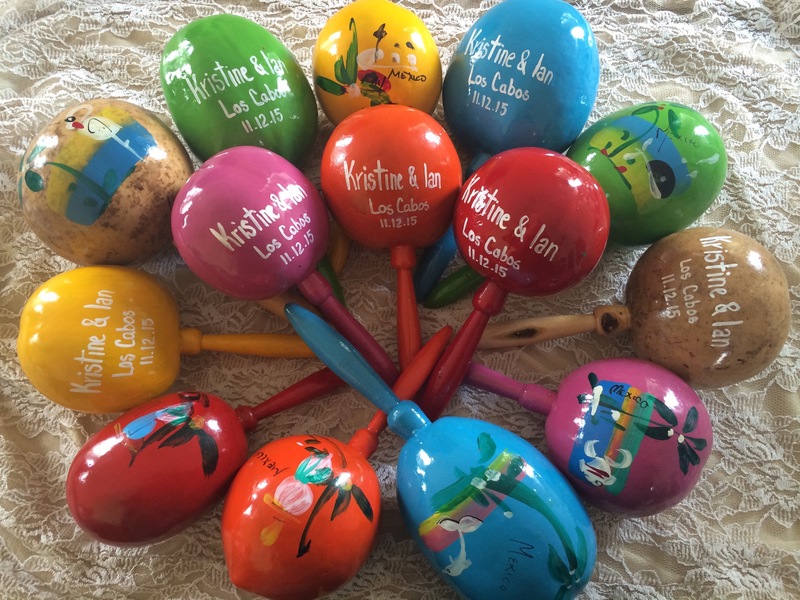 Kristine & Greg Original Designs maracas great with place cards!